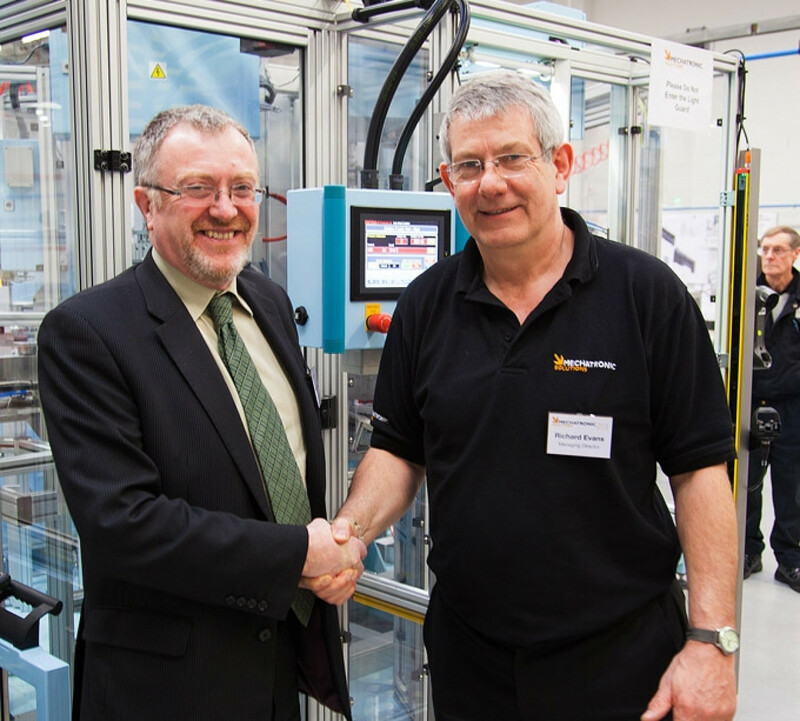 Uncategorized Mechatronic Solutions, who is the UKs leading provider of innovative automation products to the manufacturing industry, commemorated their 25th anniversary with a celebration event attended by customers, suppliers and employees past and present. Based in Birmingham, Mechatronic develops a range of automated processes that combine production, mechanical, electronic and electrical engineering to deliver improvements in quality, cost and speed to manufacturers. Initially working within the automotive industry, the company has expanded rapidly despite the recession and in recent years has diversified to work with the aerospace, food and drink, medical, pharmaceutical and business equipment sectors as well. Guests at the anniversary event, including Richard Burden, Labour MP for Birmingham Northfield and representatives of local schools and colleges, were treated to a guided tour of the shop floor to see how Mechatronic has gained its reputation for expert design and engineering. The Concept Kaizen Workshop was of particular interest. The Workshop enables full-scale models of complex prototypes to be built, allowing right first time realisation of specifications and a greater opportunity for customer involvement in the process. This means potential issues and safety risks can be identified and addressed prior to production, resulting in quicker builds, reduced costs and less wastage. As well as the tour there were demonstrations throughout the day from suppliers including Fanuc, Staubli and Omron, who were given a designated area of the shop floor to showcase the latest innovations in robotics technology.